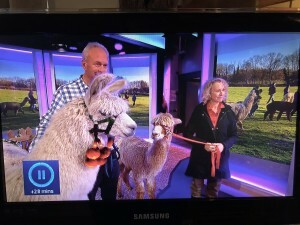 Alpaca walking is getting ever more popular. The Daily Telegraph Travel Section featured Out and about for an Easter eggstravaganza on the 6th April 2019. 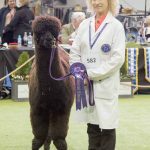 Walking with alpacas, East Sussex was highlighted! 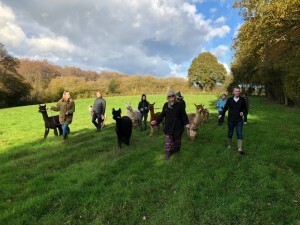 We are coming into our busiest time of year with alpaca walking here at Spring Farm Alpacas with weekends in particular getting very booked up – but we often have availability mid week. Please see our booking page for current availability and come and join us! We are very proud to be featured in The Daily Telegraph and look forward to meeting you very soon! This entry was posted in Blog on April 8, 2019 by chris. 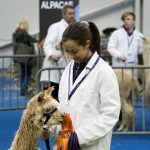 Here at alpaca walking with Spring Farm Alpacas, we train all our alpacas to walk on head collars and lead ropes – its what we do and are renowned for across Europe. 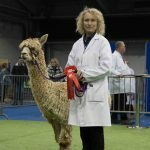 It is very important that all our alpacas are halter trained and not just a select few – that way, they are all chilled in our company and if (heaven forbid) we needed a vet visit, we can just load them into our purpose converted van and take them to the vet. Our alpaca walking team is normally about 20/25 strong but with 20/30 crias (baby alpacas) born each year, we occasionally let members of the walking team go to new homes (where they are much loved) and bring in young alpacas that have passed our training course for walking alpacas! You might think we just attach a collar and lead rope…but we don’t. 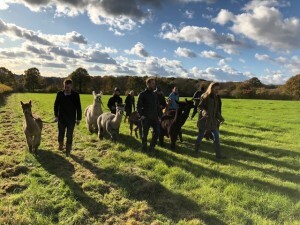 Using our calm and alpaca friendly teaching technique, we teach all our crias to walk happily alongside us. 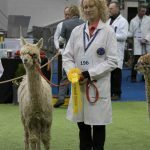 We are a breeder using really high quality genetics so some of our alpacas are also shown – but again its very important to us that this is not a stressful endeavour. 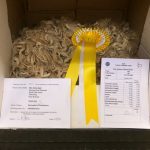 We train our youngsters to load without fear and have mock judging so they wont be worried about going into the show ring. 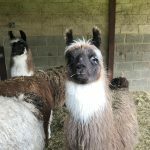 So amongst the crias, to join the alpaca walking team, we select those who we think will enjoy meeting our guests and thrive on our alpaca walks. 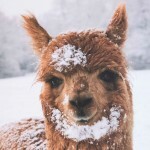 Alpacas are like us in that they all have individual characters and some want to walk more than others. 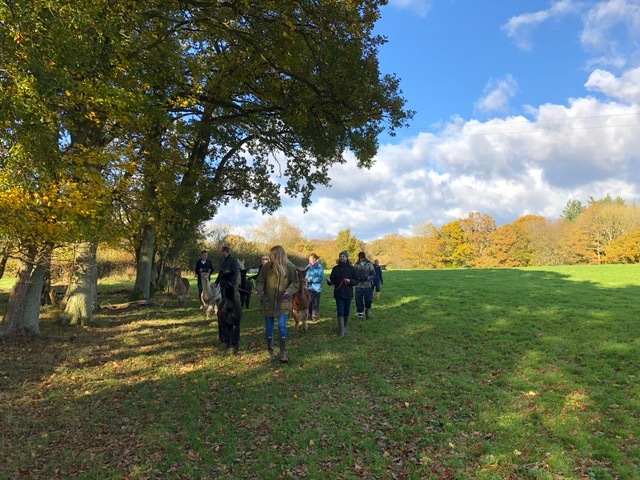 Once we have a select group who like walking, we start with small walks around the garden and gradually build up their confidence by increasing the length of the walk and asking different people to walk them at different times. This process can take a few months as we are always busy and its really important that our new alpaca (and llama) recruits enjoy themselves as much as we hope you do. So to that end, I would like to introduce you to three recruits currently under going walking training. 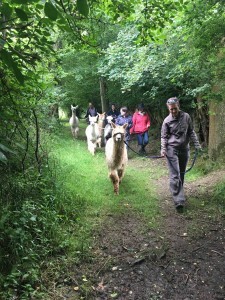 The eagle eyed may notice that we have two llama crias in training – we are hopeful they will both make the grade so we can offer llama walking alongside alpaca walking (within the same walk). 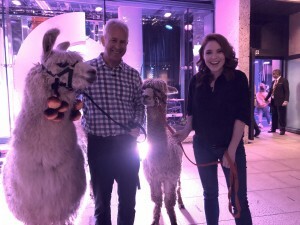 This entry was posted in Blog on April 6, 2019 by chris. 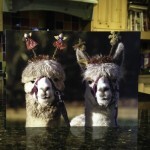 We have recently added two new alpaca Christmas cards to our range. They are slightly smaller than the original cards and are A6 (A5 half fold) in size together with a premium envelope. 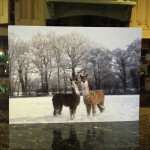 We think they are perfect as Christmas cards and are purposely left blank inside for your own message. We couldn’t resist dressing Gordon (not in real life) with a super cool Santa hat! In addition, and this time a real life picture taken here on the 27th February 2018, we have a stunning picture of Svetlana taken in the snow. Svetlana is an “S” year baby so was born in Summer 2017 but is very photogenic! The cost of the cards is £2.50 each (including postage and packing) or 5 cards for £10 (including postage and packing). This entry was posted in Blog on December 13, 2018 by chris. We are very pleased to have been awarded a Trip Advisor Certificate of Excellence for the 4th year running. We really appreciate it when guests take the time to review us on Trip Advisor – or any other forms of social media (Facebook, Instagram, Twitter, Google+). 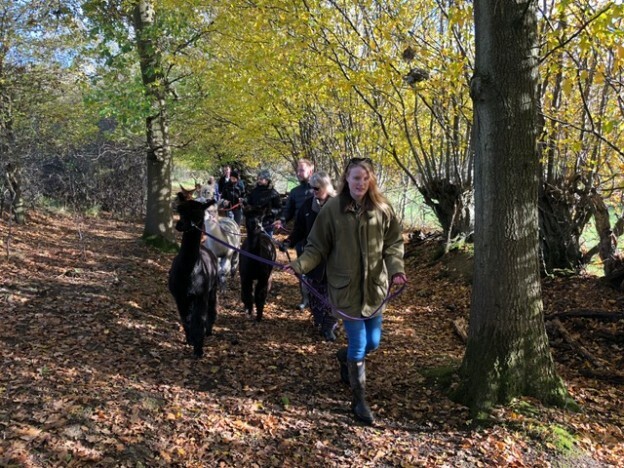 We take great care to ensure our guests have the best time possible whilst also ensuring that our super friendly alpacas also enjoy meeting guests and the walk themselves. Mind you, we do offer them a couple of food treats during the walk and a large handful of pre-chopped carrots at the end of the walk. 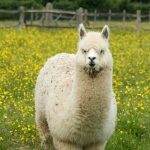 We have been alpaca walking here at Spring Farm Alpacas for 4 years and in that time, have met some amazing people. 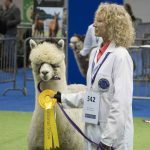 We still really enjoy meeting like minded people and getting the chance to showcase our farm and alpacas. 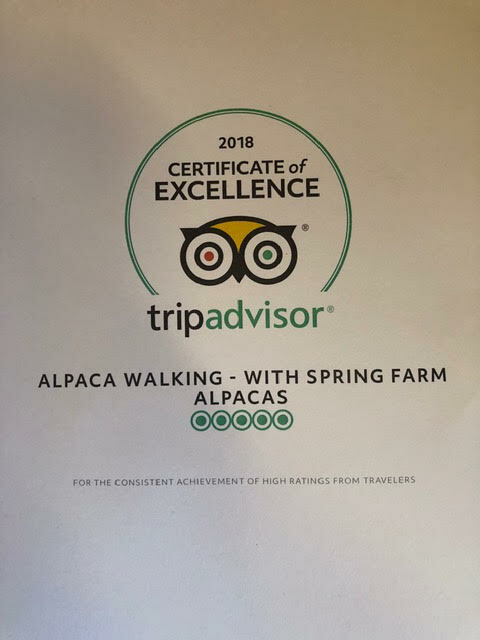 So a huge thank you from us and our alpacas to everyone who took the time to review us on Trip Advisor. It is much appreciated and never taken for granted. 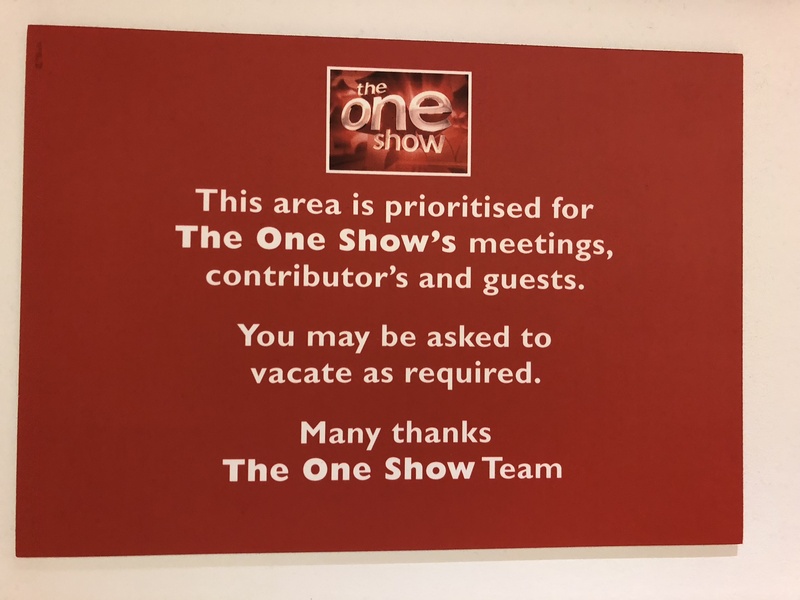 This entry was posted in Blog on October 10, 2018 by chris. 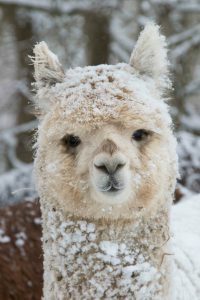 Alpacas are amazing animals. 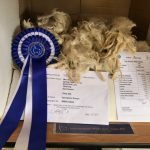 Not just great fun to walk but also produce the most amazing fleece. 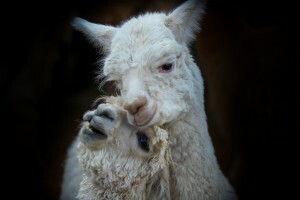 Here at Spring Farm Alpacas we breed both sorts of alpaca – suri and Huacaya. 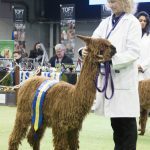 Suri alpacas are the “dreadlock” type and Huacaya alpacas are the “teddy bear” type. Alpacas were originally bred by humans for their fleece and its fair to say that alpaca fibre is just amazing. 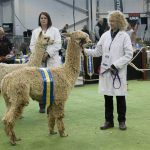 Amongst other attributes, a good quality alpaca’s fibre is as soft as cashmere, comes in a wide variety of natural colours, can be worn next to the skin and is also classified as flame retardant in the US and UK. 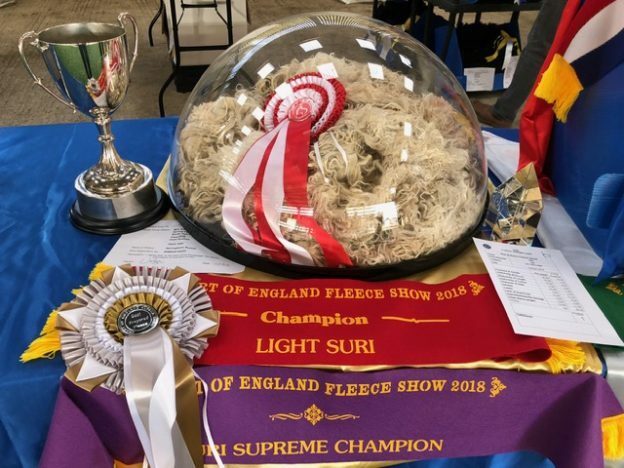 We have included the pictures of the fleeces below but if you are interested in fibre as well as walking – please let us know. This entry was posted in Blog on October 9, 2018 by chris. 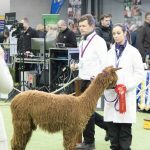 BAS National 2018 – Spring farm Alpacas were Gold sponsors of the BAS National 2018 at Telford through our joint venture with West Wight Alpacas – Suri Stud. 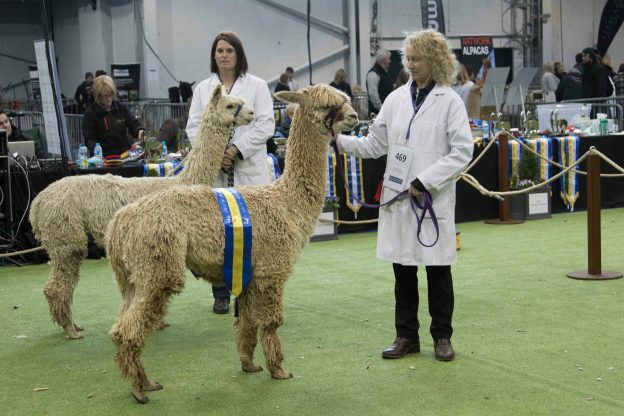 The BAS National hosts 560 alpacas (and their owners) and lasts for 2 days. 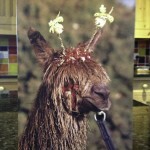 Chris was delighted to be asked, again, to take pictures for Alpaca World. 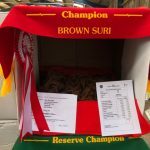 Spring Farm Saffron 1st and Reserve Champion. This entry was posted in Blog on March 28, 2018 by chris. This entry was posted in Blog on March 9, 2018 by chris. 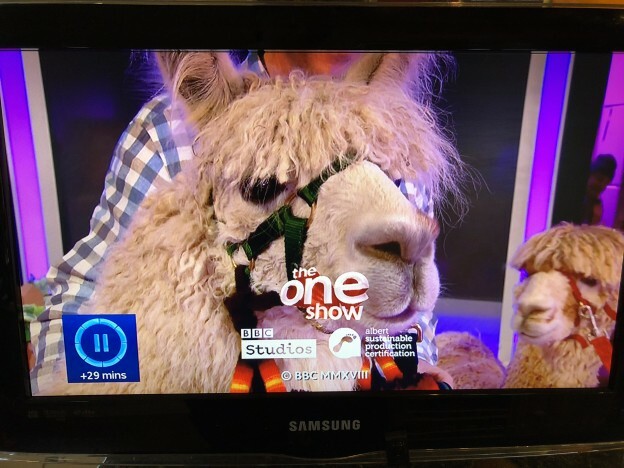 Eron and Obelix were the stars of The One Show on Thursday 25th January 2018. 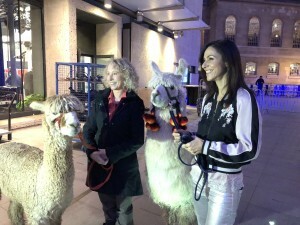 We took them up to London and went on live to The One Show with Matt Baker, Angela Scanlon and Julia Bradbury. 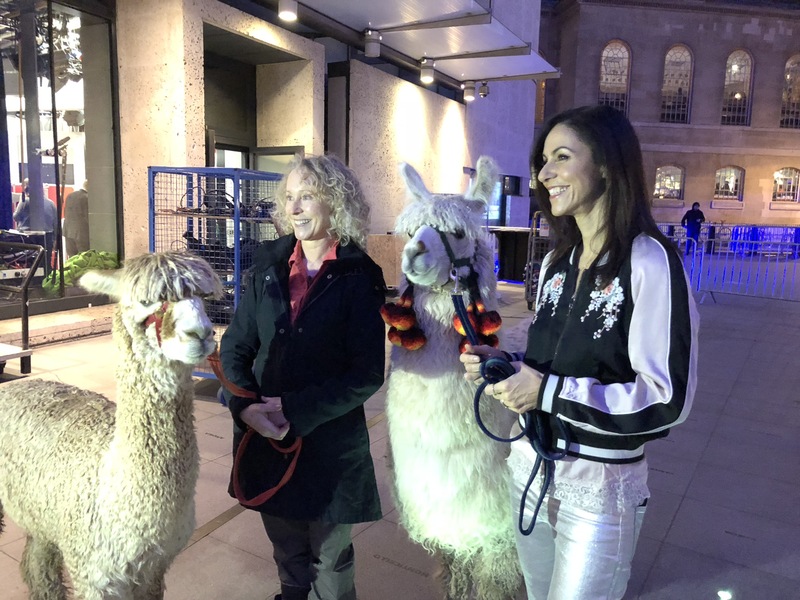 Its a tad daunting going onto live television but Obelix and Eron were about as chilled as it was possible to get – certainly more so than us! We set off at 2:30pm and arrived at BBC Broadcasting House just before 5pm. The Show went out live at 7pm and we featured right at the end. Poor Mr Knightly and Oberon came up in the van as well but as the studio had no space to erect a pen, they had to wait outside in the van (with hay and water and a nice deep bed). 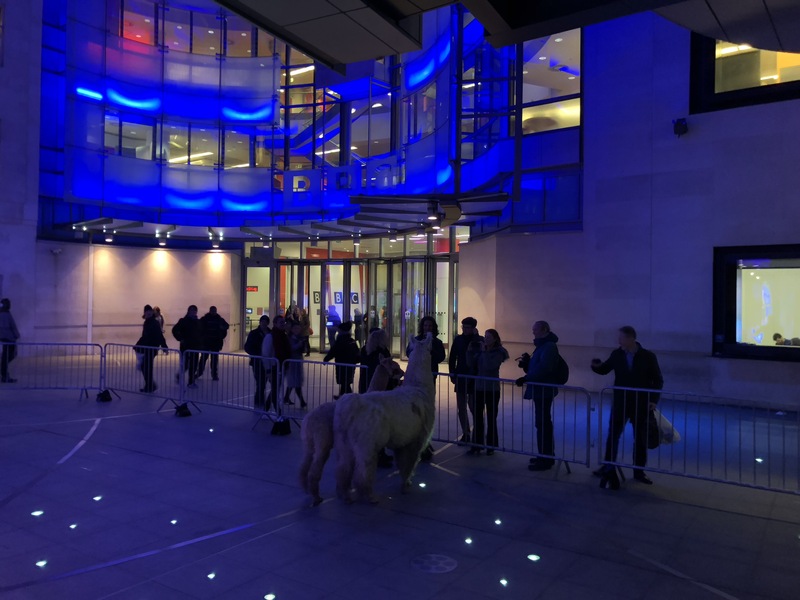 After the Show was over, Angela and Julia both came outside to see Eron and Obelix and take photos and selfies along with members of the public and other members of The One Show team. We loaded up at about 8:30pm and were home by 10:20pm. All in all, a grand day out! This entry was posted in Blog on January 29, 2018 by chris. With Christmas just around the corner, what better time to book alpaca walking vouchers. 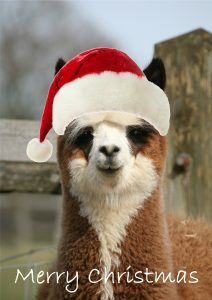 We offer alpaca walking vouchers which make perfect and very unusual Christmas presents. 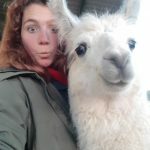 Rather than a pair of socks (alpaca of course!) 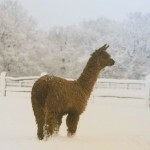 we suggest that this year you invest in alpaca walking vouchers. 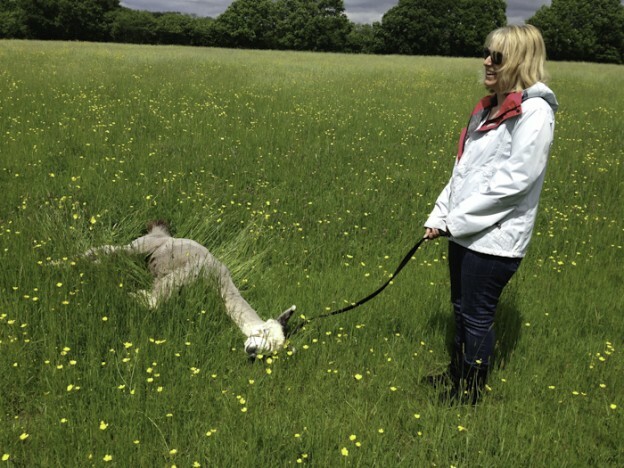 Our vouchers enable the lucky recipient to book an alpaca walk here at Spring Farm Alpacas. We will send out your vouchers to your address by first class post so as long as you don’t leave it to the last minute, you should have them in plenty of time before Xmas. Our alpaca walks are around our 110 acre farm situated in East Sussex – 1 mile or so from the Bluebell Railway and Sheffield Park Gardens near to the village of Fletching. 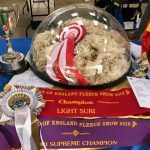 We are conveniently situated for Surrey, Sussex and Kent and our nearest station (Haywards Heath) is only 45 minutes from central London by train. 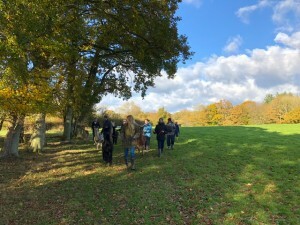 Our farm walks are through an Area Of Outstanding Natural Beauty (AONB) and our farm is in Higher Level Stewardship – so you have a good chance of seeing other native wildlife. 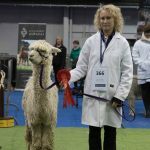 The voucher entitles the walker to: an alpaca walk (about 50 minutes), rewarding your alpaca with carrots (supplied by us – I chop most of them !) and then a visit to meet the “mum’s and babies” group. 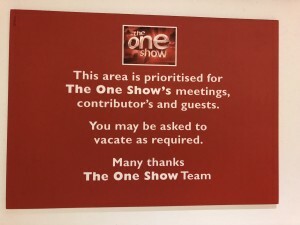 You should allow about 2 hours in total. We offer walks all year round, once a day and for between 2 and 10 alpacas walking. 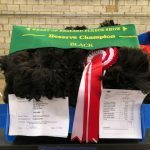 There are lots more details elsewhere on the website. Charlie Brown and Everest wish you a very Happy Christmas!